The sun is shining brightly, the sky is blue, and everyone is in high spirits! Ahhh, summer is here! What better time to learn French words and phrases related to summer? 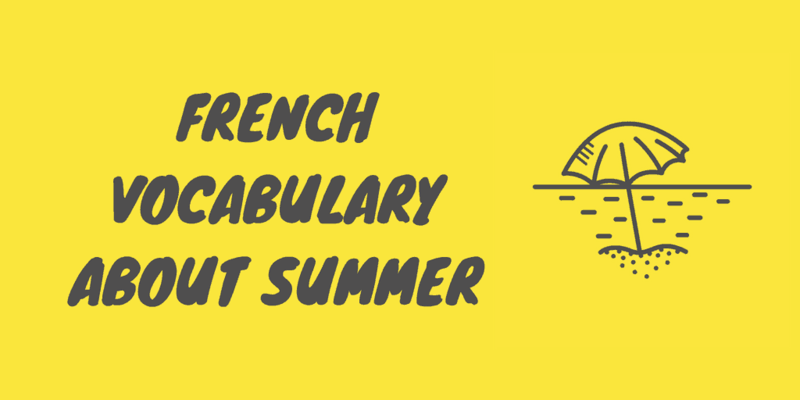 Here in this article, let’s learn and review French vocabulary about the summer. The vocabulary list is divided into different parts which you can quickly navigate by clicking below. ​For starters, you can check out this short video about French summer vocabulary. ​Now let's dive in to French summer words and phrases! bonnes vacances! have a good holiday! bon voyage! have a good trip! Did I miss any words or phrases on this list? Let me know in the comments! For the most comprehensive list of French vocabulary, check out the e-book below!